To many people, bridges are just a construction of convenience that connects two points across a river or a valley. But, they can be so much more. Some stunning and beautiful bridges are among the most iconic sights around the world, such as the Rialto Bridge in Venice to the Tower Bridge in London. Spanning both ancient historical structures to ultra-modern masterpieces, here are 15 of the most beautiful bridges around the world. 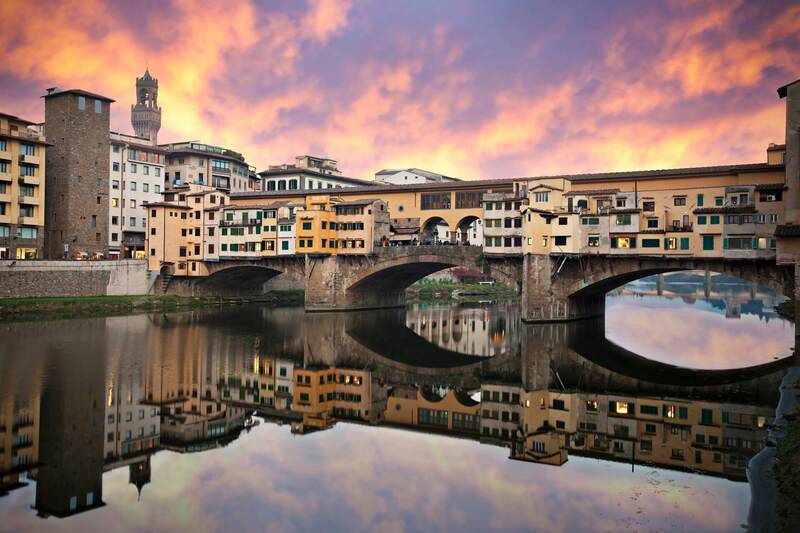 Located in Florence, the Ponte Vecchio literally translates to ‘Old Bridge’. This iconic bridge dates back to 1345 and is lined with colourful buildings and shops. It crosses the Arno River and was also the only bridge not destroyed by bombs during World War II. There is also a hidden corridor running above it, the Vasari Corridor, which was used by the Medici family to cross unseen between the Palazzo Vecchio and the Palazzo Pitti. 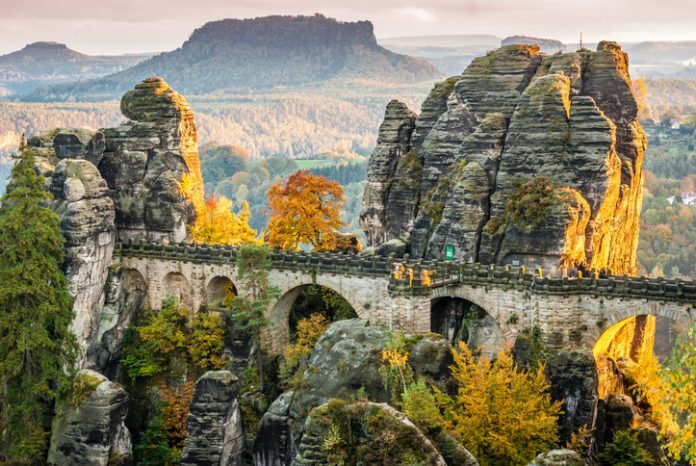 Standing over 600 feet above the Elbe River in the Saxon Switzerland National Park in Germany, the surreal Bastei Bridge almost looks like it is a part of the rock formations around it. Initially, a wooden bridge built in 1824, it was replaced with a sandstone version in 1851. From the bridge, you can get spectacular views of the Elbe Mountain, the Koenigstein Fortress, and the Elbe River. 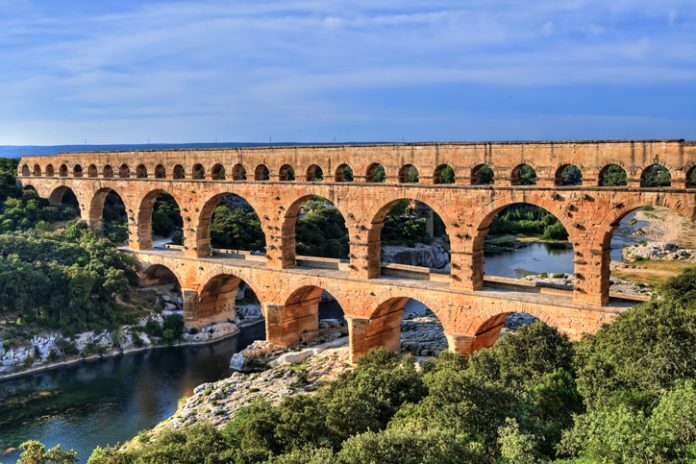 Constructed over 2,000 years ago by the Romans, France’s Pont du Gard is a part of the 50-kilometre Nîmes aqueduct that transports water from Uzès to Nîmes. The three-tier structure spans the canyon over the Gardon River and is one of the best-preserved Roman ruins in Europe. This pedestrian bridge in Singapore links the South Marina Bay to Marina Centre over the Singapore River. 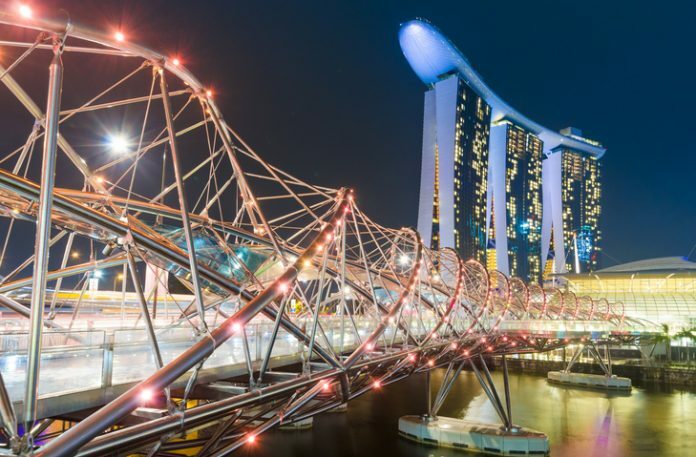 Originally known as the Double Helix Bridge, it is meant to represent the structure of DNA with its intricate mesh and tubular designs. The bridge has four viewing platforms and is illuminated at night with hundreds of LED lights, making it spectacular to look at. 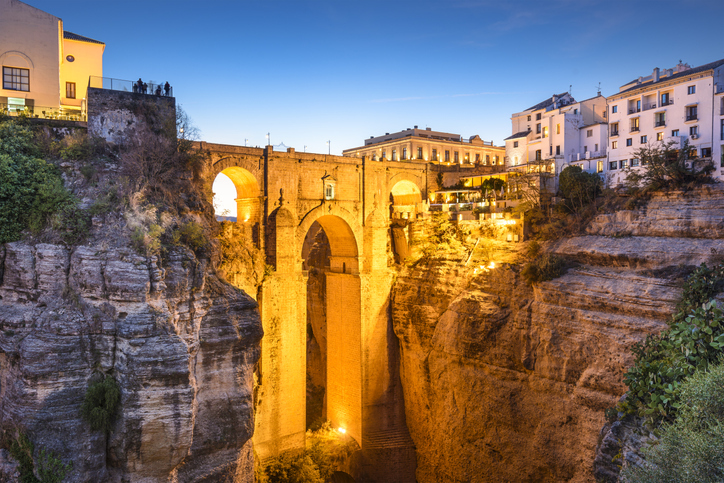 Spanning the deep El Tajo Gorge and the Guadalevín River, the Puente Nuevo Bridge is one of the most iconic sights of the hilltop town of Ronda in the province of Málaga. It is one of three bridges that stretch across the canyon and was completed in 1751. Above the central arch is a chamber that was used as a prison during the Spanish Civil War in the 1930s. It is now an exhibition about the bridge’s history and construction. The Capilano Suspension Bridge is one of the most popular tourist sites in Vancouver. Originally built out of hemp rope and cedar planks in 1889, it sits 230 feet above the Capitano River. The present bridge is 450 feet long and is held up by wire cables. 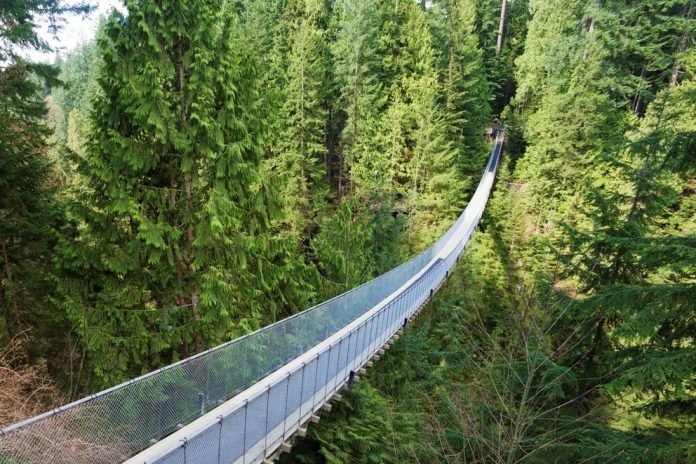 The bridge boasts breathtaking views of the area around it, including the Capilano Suspension Bridge Park. Kapellbrücke (or Chapel Bridge) is a 14th-century bridge in Lucerne that crosses the Reuss River and connects to the nearby St. Peter’s Chapel. 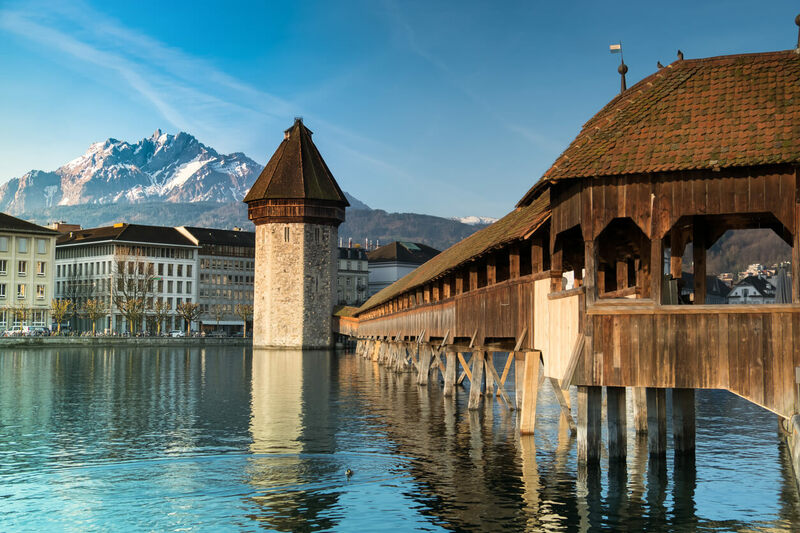 It is the oldest surviving covered wooden bridge in Europe and is known for the 17th century interior paintings by artist Hans Heinrich Wägmann depicting scenes from Swiss and local history. The Wasserturm Tower connected to the bridge has served many purposes throughout history, including as a prison, a torture chamber, and an archive. London’s Tower Bridge was constructed between 1886-94 over the River Thames to easy the heavy road traffic in the busy capital. Part suspension bridge and part drawbridge, its giant moveable roadways that lift up for passing ships have long been considered an engineering marvel. 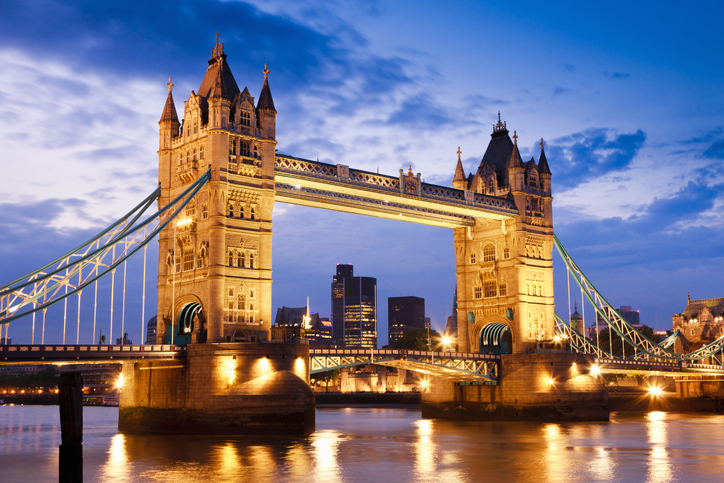 The bridge has become one of London’s iconic landmarks and is also home to the Tower Bridge Exhibition in its twin towers. 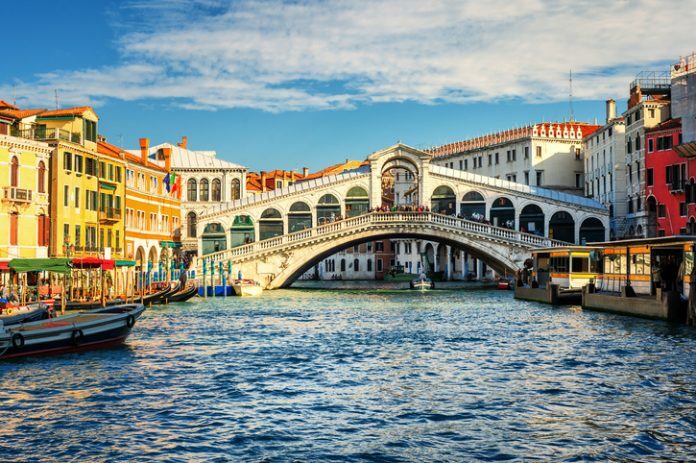 Venice is known as the city of Bridges, and its most famous bridge, the Ponte di Rialto (or Rialto Bridge), was built between 1288 and 1591. It spans the Grand Canal and is built on 12,000 wooden pilings. The bridge’s huge arch is designed to allow galleys to pass under it. Another famous bridge in Venice is the Bridge of Sighs (or the Ponte di Sospiri) which was used to transport prisoners between the Doge Palace to prison cells across the Rio di Palazzo. 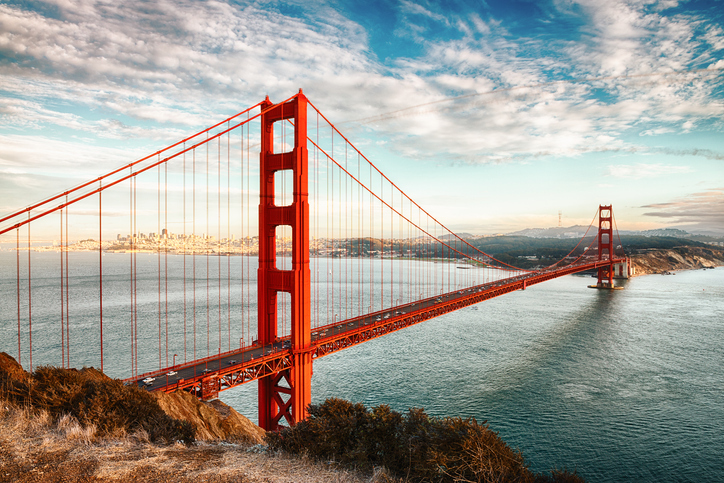 San Francisco’s iconic Golden Gate Bridge is one of the most famous in America. It spans the channel between the Pacific Ocean and San Francisco Bay and was designed by American civil engineer Joseph Baermann Strauss. Built in Art Deco Style, this suspension bridge was opened in 1937 after seven years of construction, and is brightly coloured so that it stands out amidst the Bay Area’s legendary fog. 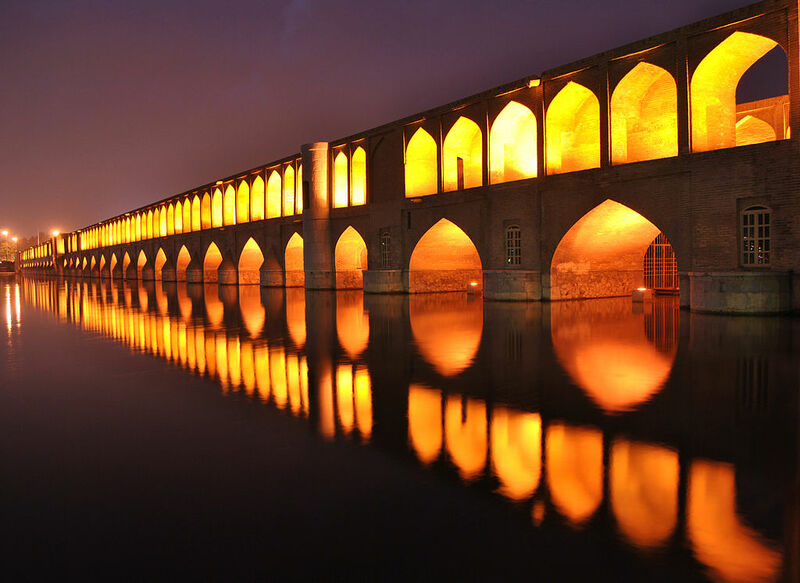 Also known as the Allāhverdi Khan Bridge, Iran’s Si-o-se Pol (literally ‘Bridge of 33 Arches’) stretches across the Zayandehrud River in Isfahan. Dating back to 1602, it was commissioned by Shah Abbas I of the Safavid dynasty. Almost a kilometre long, it is one of 11 bridges across the river, including the 3rd century Pol-e Shahrestan, and the Pol-e Khaju. 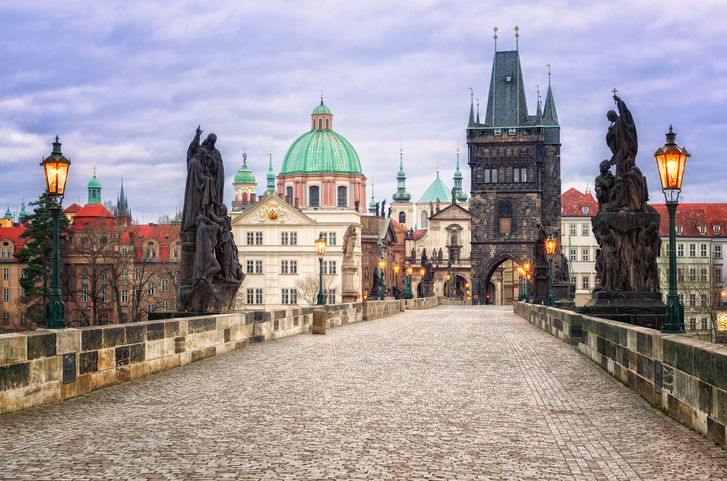 This 14th-century pedestrian bridge is one of the oldest bridges in Prague. Commissioned by Charles IV in 1357, it was later decorated with Baroque statues saints in the 17th century. It spans 621 metres across the Vltava River and connects Prague’s Old Town and Lesser Town (Malá Strana). You can see many artists and artisans selling their wares along the bridge. 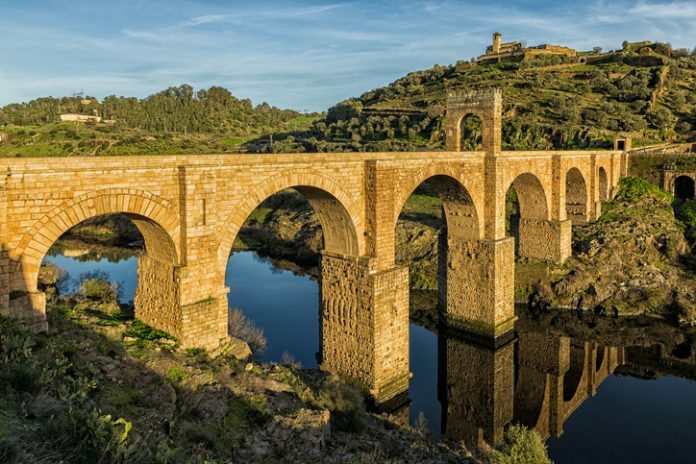 Dating back to the 2nd century AD, the Alcántara Bridge in Spain was constructed under the orders of the Roman Emperor Trajan. Its six arches cross the Tagus River connecting two Roman settlements, Cáceres and Beira Alta (now in Portugal). 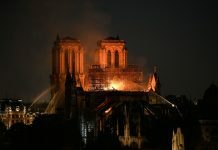 The bridge has sustained quite a lot of damage over the centuries, notably in the 13th century by the Moors, and the in the 18th century by the Spanish to prevent Portuguese invasion but has been restored to its original glory. 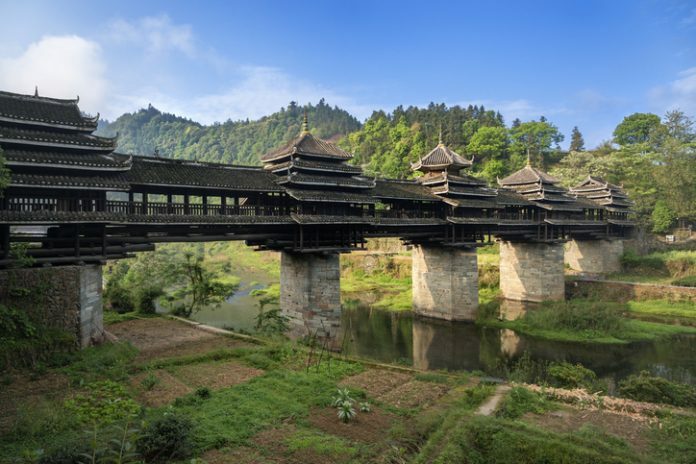 The Chengyang Wind and Rain Bridge is one of the most beautiful bridges in China. 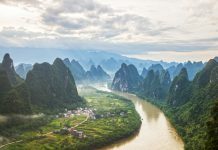 Located in the Guangxi Province across the Linxi River, it is said to be a scenic respite from the elements (hence leading to its name). 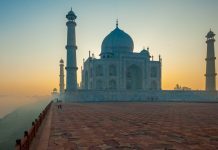 The bridge sits on five stone columns each topped with a wooden pavilion, none of which were constructed using a single nail or rivet! Located in southern France, on the freeway from Paris to Montpellier, the Millau Viaduct stands 1,000 feet over the valley of the River Tarn near Millau. 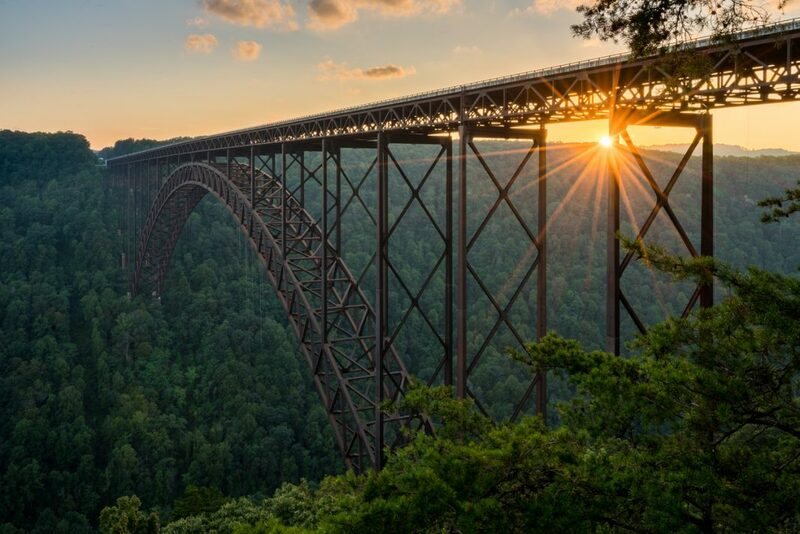 Almost as tall as the Empire State Building, it is the highest bridge in the world. 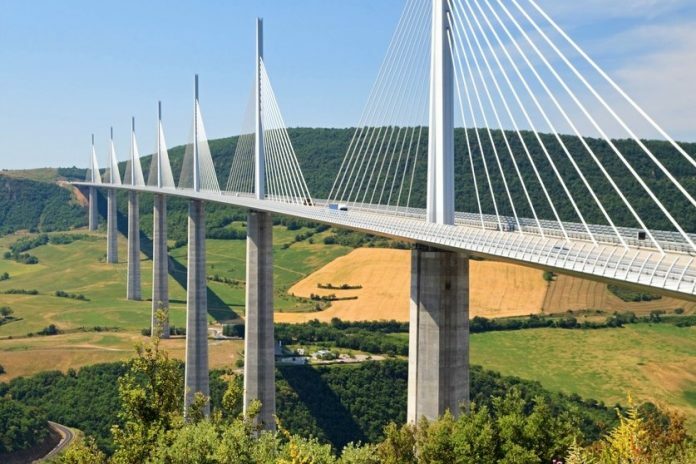 This stunning bridge is held up by cables and was designed by engineer Michel Virlogeux and British architect Norman Foster. Of course, there are many more beautiful bridges around the world, from the Brooklyn Bridge in New York to the Sydney Harbour Bridge in Sydney, the Kintai Bridge in Iwakuni, and the Hohenzollern Bridge in Cologne. If we’ve missed any of your favourites, be sure to share them in the comments below.